Cover indicated for the Montana 800. Protect your barbecue with the polyester cover. 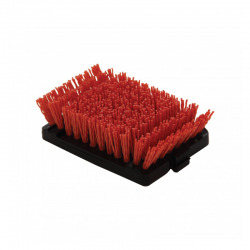 Nylon brushes are great for cleaning porcelain grill grates that need to be cleaned with a soft brush. 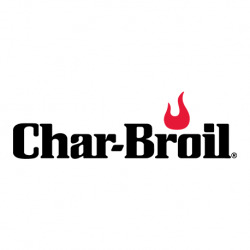 Char-Broil´s grill brush, features Cool-Clean Technology, to help clean surfaces without heat. Everyone knows, cleaner grills last longer. 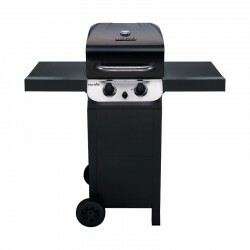 The Char-Broil Gas2Coal® Combo Grill features a classic 3 burner gas grill with a simple and easy way to convert to a charcoal grill. Now you can have both the convenience of gas or the smoky taste of charcoal from the same grill. Cover indicated for the Performance 580. Protect your barbecue with the polyester cover. Cover indicated for the barbecues Performance and Convective with 3-4 burners. Protect your barbecue with the polyester cover. Wanting more out of your grill? With the cast iron grill griddle you can transform your sideburner into a convenient, hot griddle station. Fresh omelettes, hot pancakes, or crispy bacon, the possibilities are endless! 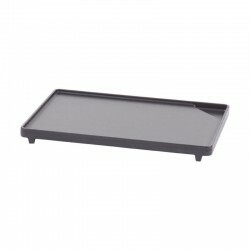 The universal cast iron griddle fits most Char-Broil gas grills. Every master grillers needs a set of high-end skewers like these. Grill up your kabobs right with these. Set comes with six skewers and a frame, which is great for keeping your skewers from slipping between the grill grates. The frame also keeps kabobs from sticking to the grill. Big time smokers love our cast iron grill smoker box. 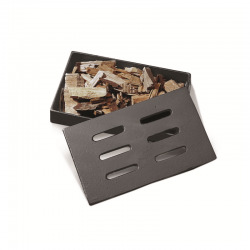 Just add your favorite wood chips and the lid automatically vents smoke and prevents wood from catching on fire. You can add juices, water or even marinades to wood chips for a little extra zing. The cast iron retains heat well and can withstand hotter grill temperatures better. Grilling can get messy really quick. 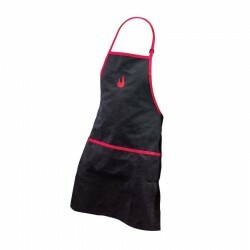 That REF:s why you need a great apron. This one is adjustable and fits most. With multiple pockets, it also doubles as a grill tool belt. Keep your gloves and tools handy and keep your clothes clean at the same time. 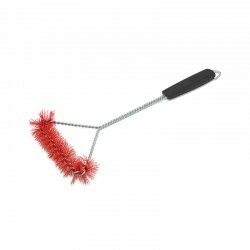 Soft bristle brushes are great for cleaning porcelain grill grate that can REF:t be cleaned with a metal or wire brush. Our replacement heads fit medium nylon brush and Brush Hawg brushes. 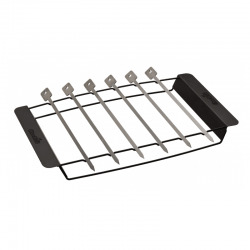 Bar and 4 hooks for use with all Char-Broil Performance BBQ's. Keep your tools handy while working. 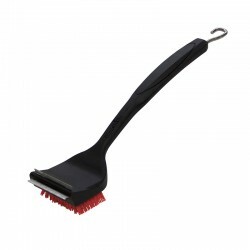 Most effective nylon grill cleaning brush in the market. Cleans every bit of your grill with its 360 REF: design. Make sure you start cleaning after the grates are completely cooled down. The best-selling Performance T-22G includes all the features of a full size gas grill with the convenience of a reduced footprint for smaller spaces. The TRU-Infrared technology prevents flare-ups, usesless gas, and delivers even heat, the side shelves allow for easy storage. 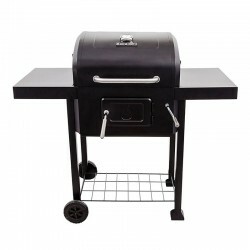 Don REF:t let your food get away from you, get a grill rib rack and keep everything in line. Our rack holds is not only used for barbecuing ribs, it can also be used for potatoes, or corn on the cob. 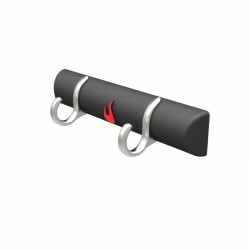 Practical accessory for barbecue grills specially designed to support a whole piece of meat (round, sirloin...) and place it, indirectly, on the embers. A must-have for perfectly roasted cuts of meat. It is made of stainless steel and has two lower supports for an optimal adjustment on the grid. Large dimensions to handle biggest jobs. When it comes to kebabs, you need some great skewers. The double design of these skewers help keep food securely in place. 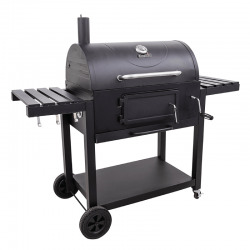 And with the stainless steel construction, they REF:ll keep you grilling for the long-haul. They REF:re reusable, easy-to-clean and easy to store. Designed to add style to any backyard barbecue, our Char-Broil 3-piece set features some of the BBQ tools out there. 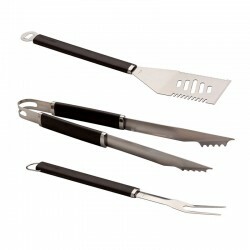 The set includes a spatula, a fork and tongs--all with comfort grip handles, making grilling easier on your hands. Each tool has a hook to hang your tools right where you need them.